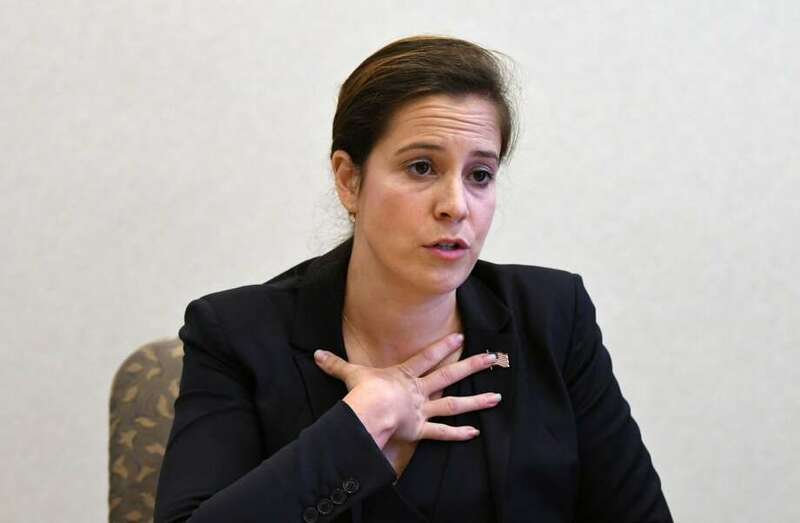 Rep. Elise Stefanik, R-Essex County, will wait to see legislative language before she commits to the next Republican health care measure to “repeal and replace” Obamacare. Stefanik, who didn’t take a formal stance on the American Health Care Act before that bill was pulled from the House floor in March, said at a Johnstown town hall-style event Monday that she would continue to push for various provisions in whatever health care bill comes up next. They include coverage for maternity care, protections for those with pre-existing conditions and a multi-year plan to address any revisions to the Medicaid expansion done by many states — including New York — under the Affordable Care Act. She also expressed continued support for a controversial amendment to Speaker Paul Ryan’s scuttled AHCA pushed by Rep. John Faso, R-Kinderhook. Faso has since introduced as standalone legislation) that would require New York State to pick up the share of Medicaid costs currently borne by counties. Stefanik said she does not support the brand of political brinksmanship that has sparked fears of a government shutdown by week’s end. My Little Brother’s Wedding Weekend!